ARLINGTON, Texas — Rafinha and Malcom scored either side of halftime, but AS Roma managed to get one in between and found the net three more times in the second half to send the Catalans to their first defeat of the pre-season on Tuesday night before 54,726 fans at AT&T Stadium. The loss evens up Barça’s record and 1-1 following last weekend’s penalty shootout victory over Tottenham at the Rose Bowl in Pasadena. 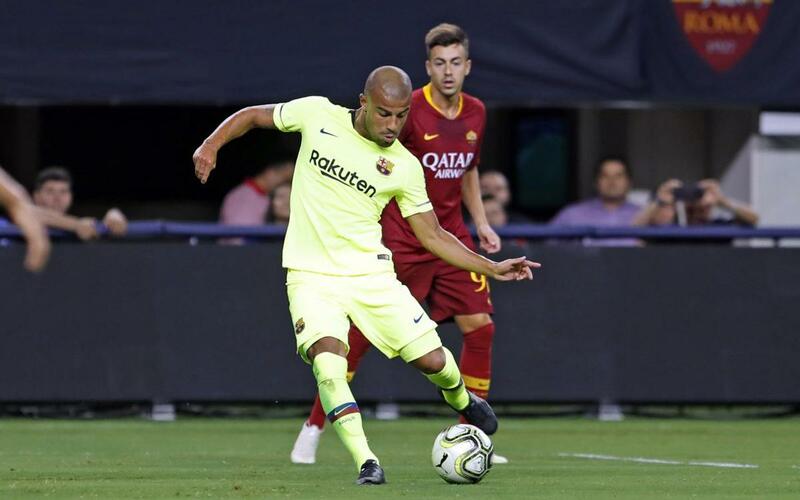 Barça will face AC Milan this Saturday night at Levi’s Stadium in Santa Clara in its third and final pre-season game in the International Champions Cup. But four minutes into the second half, Malcom, whose penalty kick gave Barça a 5-3 shootout win in Southern California last weekend, put Barça back into the lead. After another four minutes, in the 53rd, Malcom had a chance to put Barça up a pair, but his blast sailed just high and to the right of the Roma net. Barça stayed in the lead, however, until the 78th minute, when Alessandro Florenzi tied the game for the Italians. Bryan Cristante then gave Roma the lead in the 83rd, and Diego Perotti converted a penalty kick in the 86th to put the game out of reach for Barça.